Heye was born in 1946 and licensed at the age of 18. He is primarily qrv in cw on the short-waves, his main interest lies in DXing. He attained DXCC #1 in 2002; DXCC count is 352 confirmed (mixed). He likes to participate in contests and he is member of the Bavarian Contest Club. He enjoys constructing home-made equipment such as match-boxes, accessories, antennas and amplifiers. 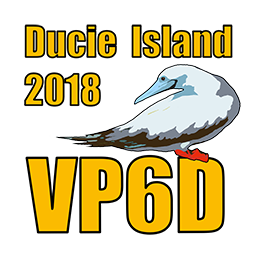 He is active in the local radio club and made several DX-peditions of his own: CU/DJ9RR, CN/DJ9RR, F/DJ9RR, TK/DJ9RR, SV9/DJ9RR, MD/DJ9RR, FK/DJ9RR, 9H3HH, S79RR. Member of the DX-peditions: C3ØAAN, OZ/DJ9RR, 9Y4ZC, TX9, VK9DNX, VK9DWX, 3D2ØCR, ZL8X, 9LØW, PJ4C, ZK2C, V84SMD, TX5K, 5W0M, VK9MT, S21ZBB/S21ZBC, TO7CC, V55HQ, VK9DLX, V73D.. He holds also the callsign AG6UT. Retired since 2011 he was an engineer in the research and development department of a medical-supply company that produces equipment and systems for intensive care and anesthesia workstations. Education: Electrical Engineering (Communications Engineering).